Handcrafted by skilled wrought iron artisans of Mathews & Co., the Alexander Accent Table is a unique and striking blend of practical function and artistic form. 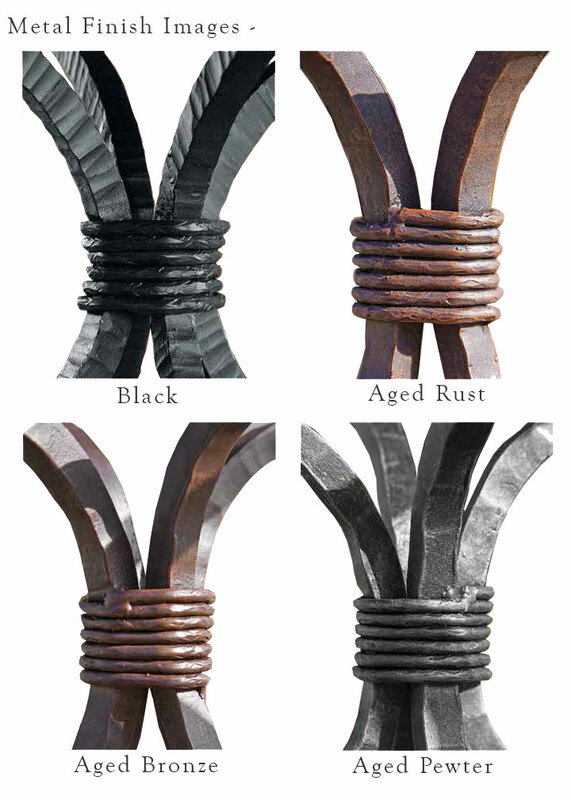 You have the freedom to choose among the four finishes for the wrought iron base: natural black, rust, aged pewter, and aged bronze. Choose the finish that expresses your style for a truly personalized piece. Iron Base: 28" x 28" x 21"
Use: A perfect place to set beverages, remotes, reading material, decorative accents, and more. 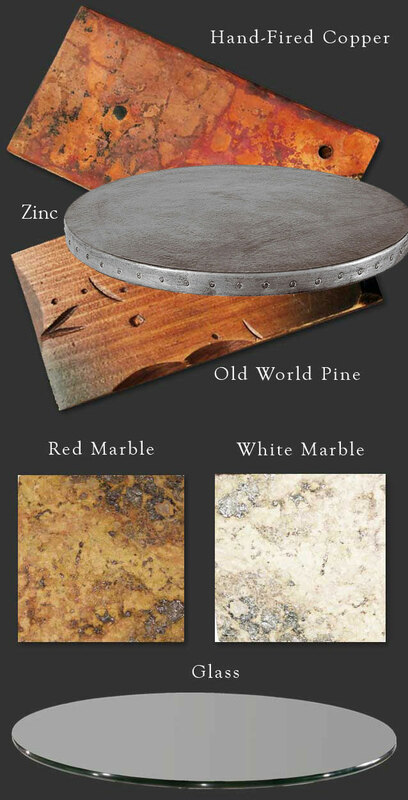 Included: Iron Base and your choice of Copper, Marble, Wood, Glass, or Zinc. If you order the base only you will supply the top. Screws are included if you order a wood, copper, or zinc.